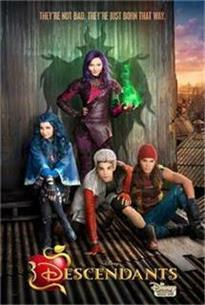 Descendants is a 2015 American musical fantasy television film, debuted on July 31, 2015 as Disney Channel Original Movie to positive reviews and 6.6 million viewers. Meanwhile, as a musical film, Descendant soundtrack won a lot of first prizes in US Billboard charts such as Billboard 200, Top Album Sales, Soundtrack Album. It leads an increasing number of people talking about their favorite songs in Disney Descendants movie music, especially the Rotten to the Core, which is nothing like Disney Channel, giving the movie a first impression that this is NOT gonna be a new High School Musical! Nevertheless, you might as well get Descendants soundtrack download and enjoy them to find your favorites. For absolute perfectly enjoying Descendants songs with original quality, a prominent Descendants soundtrack downloader is needed. MacX Video Converter Pro is such a program to get Descendants movie songs offline for free. It wouldn't be an understatement to say that MacX Video Converter Pro is an online video audio downloader, specially designed for free downloading music like Disney Descendant movie soundtrack Rotten to the Core as well as other Disney soundtrack in Inside Out, Big Hero 6, Frozen etc. It is available to download songs from YouTube, Vevo, Dailymotion, Soundcloud, MusicPlayon and 300+ music sharing sites with flawless quality and fast speed. Moreover, MacX Video Converter Pro can also free download Disney movie trailer in MP4, 720P, 1080P for a preview on iPhone iPad Android devices. Step 1: Free download this Descendants soundtrack downloader and launch it on your computer. Click "YouTube" icon to enter the download interface. And open your browser to find Descendants music. Then copy and paste its URL to the message box and click "analyze" to load Descendants soundtrack details. Alternatively, you can click "paste & analyze" button and the software will automatically detect the music details. Step 2: Choose soundtrack format (MP3, MP4, etc), resolution and file size that you desire for the downloading Descendants songs. Step 3: Click "Browse" button to specify an output folder on your computer to save the downloaded Rotten to the Core for example in Descendants soundtrack. 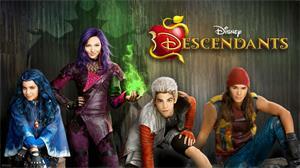 Step 4: Hit "Download Now" to start Descendants movie soundtrack download task. By the way, there are several charted songs which are strongly recommended for you for free downloading songs from YouTube in MP3, MP4, FLV, HD music video for playback on iPhone XS/XR/X/8/7/6s/Plus/SE, iPad Pro, iPad mini 4/ Air 2, Samsung etc. For instance, Rotten to the Core and If Only, debuted at number 38 and 99 on the US Billboard Hot 100 respectively; Evil Like Me and Set It Off, debuted at #14 and #17 on the Billboard Bubbling Under Hot 100 Singles chart respectively. Well, all in all, there is no reason for not downloading Descendants soundtrack cuz it's a highly successful album.